3600701 HBF15(E) HYUNDAI HBF15(E) Electrical Forklift HBF series. Spare parts catalog. Service Manual. 3600702 HBF15T HYUNDAI HBF15T Electrical Forklift HBF series. Spare parts catalog. Service Manual. 3600703 HBF20-II HYUNDAI HBF20-II Electrical Forklift HBF series. Spare parts catalog. Service Manual. 3600704 HBP15 HYUNDAI HBP15 Electrical Forklift HBF series. Spare parts catalog. Service Manual. 3600705 HBF18T HYUNDAI HBF18T Electrical Forklift HBF series. Spare parts catalog. Service Manual. 3600706 HBF25-II HYUNDAI HBF25-II Electrical Forklift HBF series. Spare parts catalog. Service Manual. 3600707 HBF15-3 HYUNDAI HBF15-3 Electrical Forklift HBF series. Spare parts catalog. Service Manual. 3600708 HBF18-3 HYUNDAI HBF18-3 Electrical Forklift HBF series. Spare parts catalog. Service Manual. 3600709 HBF15T-5 HYUNDAI HBF15T-5 Electrical Forklift HBF series. Spare parts catalog. Service Manual. 3600710 HBF18T-5 HYUNDAI HBF18T-5 Electrical Forklift HBF series. Spare parts catalog. Service Manual. 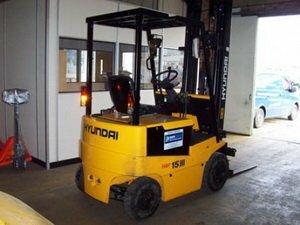 3600711 HBT40 HYUNDAI HBT40 Electrical Forklift HBF series. Spare parts catalog. Service Manual. 3600712 HBF20-7 HYUNDAI HBF20-7 Electrical Forklift HBF series. Spare parts catalog. Service Manual. 3600713 HBF20C-7 HYUNDAI HBF20C-7 Electrical Forklift HBF series. Spare parts catalog. Service Manual. 3600714 HBF25-7 HYUNDAI HBF25-7 Electrical Forklift HBF series. Spare parts catalog. Service Manual. 3600715 HBF25C-7 HYUNDAI HBF25C-7 Electrical Forklift HBF series. Spare parts catalog. Service Manual. 3600716 HBF30-7 HYUNDAI HBF30-7 Electrical Forklift HBF series. Spare parts catalog. Service Manual. 3600717 HBF30C-7 HYUNDAI HBF30C-7 Electrical Forklift HBF series. Spare parts catalog. Service Manual. 3600718 HBF32-7 HYUNDAI HBF32-7 Electrical Forklift HBF series. Spare parts catalog. Service Manual.